After a brief mention of the trouble he had zipping his sweater, Mister Rogers shows a handful of plastic pieces. He explains that these pieces are melted down and used to make dolls. 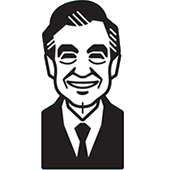 Inviting viewers along, Mister Rogers visits a factory where dolls are made. Returning to the house, Mister Rogers talks about how dolls are made and people are born -- dolls are put together and people grow together. This leads perfectly into Everything Grows Together. In the Neighborhood of Make-Believe, Handyman Negri is already busy installing an assembly line at the factory when Corney asks him to help label some packages. Although he is already busy, Handyman Negri agrees to help but the line quickly backs up due to the large amount being produced by Corney. Mr. McFeely arrives with the prototype of a King Friday doll and after recieving approval from the King, Corney moves foward with his idea to manufacture the dolls. Lady Elaine Fairchilde is jealous, however, that Corney is not making dolls that look like her. Meanwhile, X the Owl continues selling more and more items for Corney and Handyman Negri cracks under the pressure put on him at the factory. Leaving to go back to his regular job, Handyman Negri performs routine maintenance on the Trolley as he sings I Like to Take My Time. Back at the house, Mr. McFeely stops by with a swimming doll which he demonstrates in a container of water on the porch. Mister Rogers talks about how he likes to likes to swim and lets viewers know that during their next visit, he will take them to where he swims.